When the moon is new or below the horizon and the sky is clear, we can marvel at the infinite blackness above us. You will see the endless universe sparkling stars, glowing planets, maybe some shooting stars, meteors, or even a stray comet. From our four adjacent counties in three states, this unmatched marvel is possible because we are removed from the form of pollution that we seldom consider: light pollution caused by wasteful misdirected light sources that lighten the skies. Most people have never given it a thought. Are you able to marvel at the universe from where you live? If you go online you will be able to find your location and the amount of light contamination where you are, or anywhere in the United States. In our corner of the Northeast, we can still see the night sky’s wonders (like the Milky Way that’s pictured above) like visitors to our national parks out west. You will probably be surprised to learn how widespread this Edisonian contamination has become in our highly-developed and increasingly urbanized country, where 80% of Americans are unable to marvel at the universe. In 1994, when all the lights were extinguished in the Los Angeles region due to the power blackout created by a big earthquake, emergency call centers were inundated with panicky calls fearful of a large cloud in the dark night sky. People had no idea of what it was, because they previously had never observed the celestial magnificence of the darkened firmament, suddenly unpolluted by millions of light sources in that mega city region. Aside from obscuring dark skies, all these bright lights are expensive and wasteful of electric energy. Estimates tell us that approximately 30% of all outdoor lighting in the US is wasted simply because of unshielded and misdirected street and parking lot fixtures. Dark Skies’ policies, when properly implemented, cut energy use reducing energy costs and the air pollution created by power generation. Directing the light where and when it is needed is easy and not expensive to implement. The International Dark Sky (IDA) was founded in 1988 and identifies the negative impacts of nighttime artificial light on human health and heritage, wildlife, and climate change. The glow of streetlights and illuminated signs disorients migrating birds and sea turtle hatchlings, disrupts the nocturnal hunting of creatures like bats, foxes and owls, etc. It also upsets the natural circadian rhythms, sleep patterns, and hormone production of humans, animals, plants, fungi, and cyanobacteria. It may also lead to a host of health problems ranging from diabetes to depression, as numerous studies of graveyard shift workers like nurses have demonstrated. The IDA works with the public, municipalities, city and urban planners, legislators, universities, parks, lighting manufacturers, contractors, and protected areas to provide and implement smart lighting design and choices which result in protecting the nighttime environment. According to the IDA’s website, there are 97 recognized dark sky locations across the world – communities, parks, preserves and sanctuaries. The IDA has established minimum requirements for communities and their planning authorities to use when seeking official dark sky designation. These range from shielding street lights to turning off illuminated signs from one hour after sunset until one hour before sunrise. Architects, civil engineers and planning authorities are increasingly familiar with the concept and accompanying dark sky techniques, trends and recommended requirements. In 2019 International Dark Sky Week is a worldwide event (March 31 – April 7) and seeks to bring attention to the wonder of the unobscured night sky and the problems of light pollution and how to mitigate them. Locally, informed residents could start the conversation about public utilities and local authorities replacing sodium vapor street lights with low intensity LED fixtures, limiting illumination in early morning hours, and enforcing existing zoning regulations, including sources like illuminated signage. Individually, you could check your own home and business’ light pollution. Be a good neighbor and shield outdoor lighting or angle it downward to minimize light trespass, as it is called. Use lighting only where and when needed enabled by time or motion sensors. Additionally, you could become a Dark Sky Ranger and document light pollution in your area, sharing the results to motivate improved practices. Introduce yourself to and join local astronomy clubs like the Mid-Hudson Astronomical Association; they meet in New Paltz and also at Wilcox Park (about a mile off the Taconic Parkway exit for Rhinebeck and Pine Plains, NY). You will be able to learn from knowledgeable hobbyists and expert astronomers. Experience a special evening under the stars in Poughkeepsie by visiting the historic Walkway Over The Hudson bridge on one of the dates when there are open evenings to stargazers, including MHAA events. Check their website (walkway.org). In the northern hemisphere the darkest skies occur between the months of September and April during the two hours after the sunset is complete. A clear winter sky window into the universe is something to behold, not just see. Tucson, AZ, has a population of more than half a million people, and the darkest skies of any urban location of similar size in the United States. This is the result of self-imposed local restrictions on artificial light pollution. The first law regulating light pollution was passed in 1972 in order to conserve energy and protect the night skies clarity. For more than a century Tucson had attracted professional astronomers, and now has become a center of “astrotourism,” with bed and breakfasts boasting of their own observatories, as well as local bars being equipped with rooftop telescopes. One of the more interesting illumination free nighttime locations is the world’s first official dark sky islands, the self-governing Island of Sark. Possibly sounding like Star Trek, it is the smallest of the four UK affiliated islands in the English Channel, about 80 miles from England’s southeastern coast (and very close to France near Bretagne). Extending over only two square miles, with no cars and only 700 full-time residents, the tiny island attracts stargazers during dark, cold winter nights – it extends their tourist season. 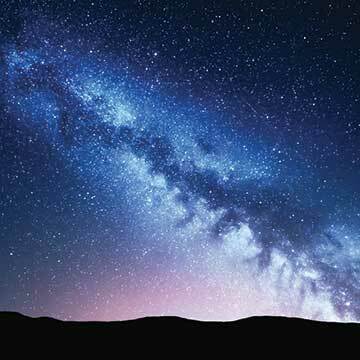 Visitors observe meteors streaking across the sky and the Milky Way from horizon to horizon. Elsewhere gatherings of stargazers abound in parties from our local state park locations in the Taconic Mountains to star safaris in the Sahara Desert, Australian outback, and events like the Astrophotography Conference in the upstate New York Adirondacks. People are increasingly fascinated by astronomy as we learn more and are venturing into space. There is a telescope atop the mid-Pacific Ocean Hyatt Regency Maui in Hawaii, and under the stars outdoor bathing in Sedona, AZ. Never to miss a marketing opportunity, real estate developers are now designing environmentally respectful ventures that pitch the preservation and enjoyment of the glorious clear night sky. Perhaps the way to look at all this is that we have another valuable and scarce regional resource to protect (see map above) – dark hour skies unpolluted by light contamination (or hopefully air pollution). We need to retain a barrier against human sprawl. So look up at night and be grateful to see the celestial expanse of stars, planets, and the humbling immensity that we are incapable of properly comprehending. Dark Sky initiatives are an initial step toward preserving the wonder and eternal questions about our own insignificance.